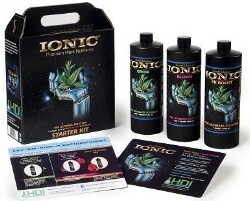 The Ionic Tote Starter Kit contains 1 quart sizes of Ionic Grow Bloom & PK Boost. 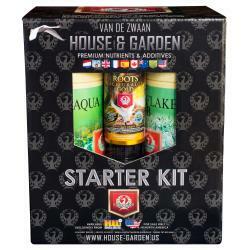 Also included is a product card containing specific nutrient information and usage directions. 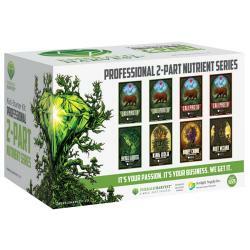 Through a unique process that generates large molecules containing the crucial elements of growth, Ionic Premium Plant Nutrients precisely deliver a balanced nutrient complex directly into the plant in a way that has never before been possible. 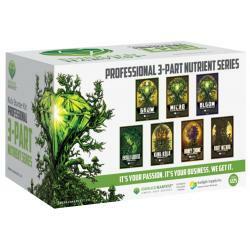 The critical nutrients bond together in the exact ratios required by the plant and remain in this highly stable configuration until they are taken up through the roots of a plant. The reactions used to precisely manufacture Ionic Premium Plant Nutrients create a chemical association known as a complex in which the various elements are held in solution by the interaction of their electrical charges. 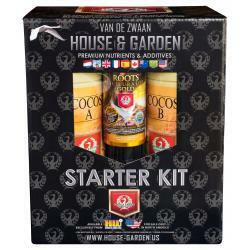 Careful manipulation of these forces during the manufacturing process results in an extremely stable nutrient solution which in many cases can virtually eliminate the need for pH adjustment. 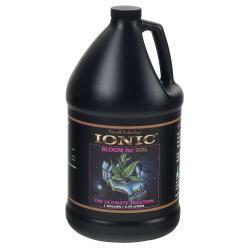 Suitable for all living plants, Ionic Premium Plant Nutrients are manufactured in several different formulas with choices available for differing growing media, water quality, and stage of growth.